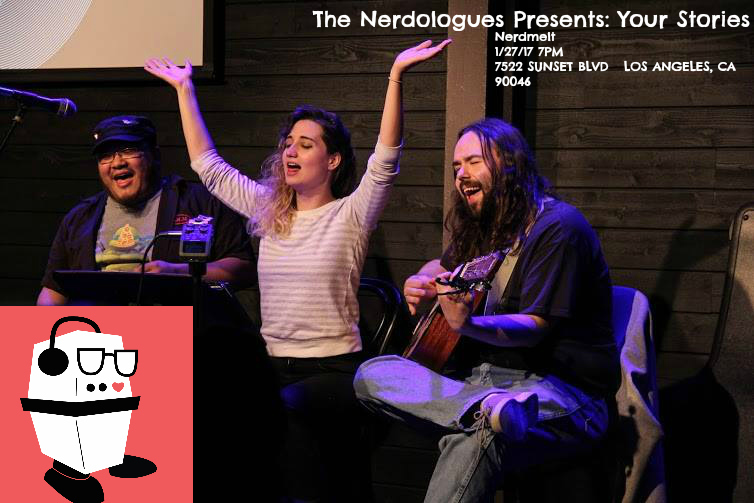 Your Stories is a live storytelling show-turned-podcast hosted by Chicago sketch comedians the Nerdologues and generated by our wonderful audience! Each show, we invite some of our favorite comedians, storytellers, friends, and all-around cool people to take the stage, and you (the audience!) gets to hear a bunch of folks earnestly geeking out about what they love and who they are. We're bringing our show to NerdMelt for a very special night of stories, songs, and more featuring some of our favorite people in LA!